We will start with stop to Positano denominated " the jewel of the Amalfi Coast" situated on limestone cliffs where you'll have the opportunity to stroll along the narrow streets and admire the Cathedral, Ceramics Shops, Handmade shoes and Positano Fashion Style for about 1 hour. After visiting Positano we will continue along the way to Amalfi crossing different town (Praiano, Furore, Conca dei marini). Amalfi was one of the 4 italian Maritime Republic (with Pisa, Genova and Venice) and now it is considered the capital of the Amalfi Coast. Once we are in Amalfi you will have 1 hour or more to explore the city centre and you can visit the wonderful Cathedral of S. Andrew and strolling through the beautiful stores and cafe'. 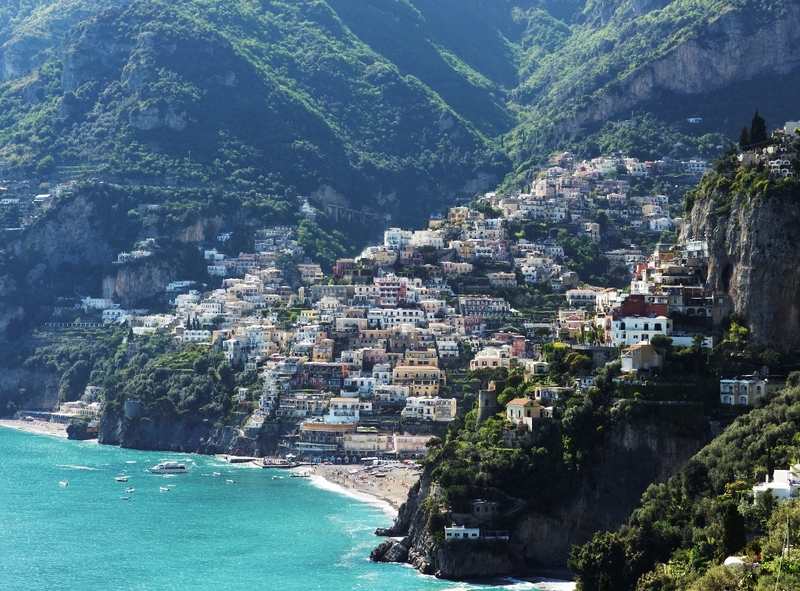 The last stop will be Ravello located above Amalfi and Maiori and Minori. This other little village is even famous as the city of the Music cause of the Ravello Music Festival held every year in honor of the german composer Wagner. In Ravello we will spend other free time and you can see Villa Rufolo and Villa Cimbrone. During the excursion the driver will recommend you for lunch (optional) or anything you need.